Google is testing new encryption tech that one day could protect its Chrome web browser from hack attacks by quantum computers. The search giant shared in a blog post on July 7, Thursday that in the future the powerful computers could decrypt today's Internet communication. This means that old data that was supposed to be secured for decades by encryption algorithms could be cracked by quantum supercomputers. The post was made by Google software engineer Matt Braithwaite. Weak encryption could affect the Transport Layer Security (TLS) protocol when people visit Internet sites. Today's small quantum computers are experimental. However, the tech industry is working to make the super-computers mainstream in the retail market. The processing power of quantum computing machines is much bigger than today's computers. Modern processors ae based on binary data that is represented by 0s and 1s, while quantum computing is astronomically more efficient since it uses qubits that can represent 0 and 1 at the same time. Alphabet's Internet company plans to use something called "post-quantum cryptology" to protect today's Internet communications from future attacks, according to Computerworld. It will test it in Chrome Canary. The company's experiment will only include a small percentage of links between the web browser and Google servers, and be used on top of its existing encryption algorithm. The cryptography algorithm Google is testing is named New Hope and could be a reference to the 1977 Star Wars movie that was retitled "A New Hope." Google hopes to gain real-world experience with bigger data structures. They will be required for post-quantum algorithms. The tech company has also pointed out that the goal of the experiment is not to create a new encryption standard. 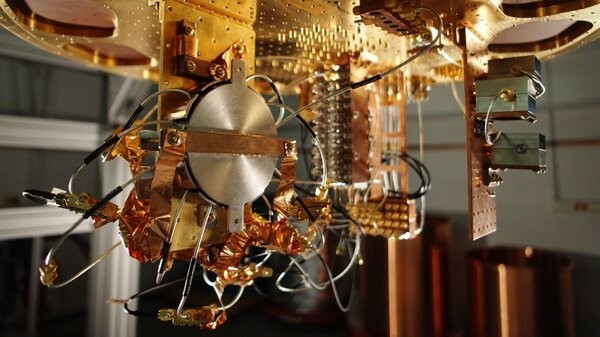 New Hope was simply the best post-quantum key exchange Google's team found when it studied the project back in December 2015. Braithwaite wrote that it is possible that today's computers could break the post-quantum algorithm. However, if the tests are successful the algorithm could even protect web connections against future quantum computers. A research team that included researchers from Google, Microsoft, and McMaster University in Canada already published findings about the subject, according to Tech Crunch. Therefore, the current experiment will only last up to two years.